Doris Sheler, age 90, of Kentwood, went to be with her Lord on Tuesday, August 29, 2017. Doris was a member of Calvary Baptist Church. She was preceded in death by her husband, Gilbert; son Keith; son-in-law, John Hudson; parents, Arlo M. and Anna Monschein; three sisters and one brother, and their spouses. 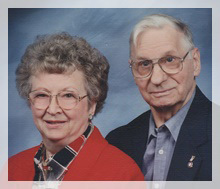 Doris will be lovingly remembered by her children, Kirk (Barb) Sheler, Penny Hudson, Theodore “Ted” Sheler, Sally (Timothy) Becker; 13 grandchildren; 25 great-grandchildren; several nieces and nephews. The family will greet visitors on Saturday, September 2, from 10 – 11 a.m. at Stroo Funeral Home, where the service will begin at 11 a.m. Interment will be in Grandville Cemetery.